FREE Doll from Paradise Galleries! 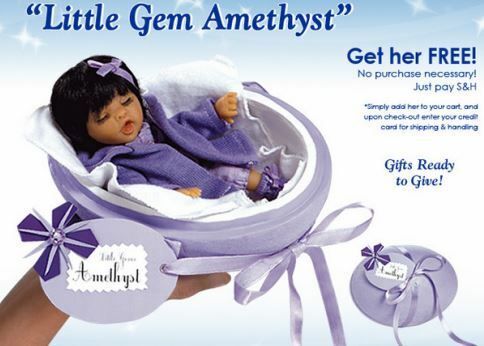 Get “Little Gem Amethyst” absolutely FREE, just pay shipping! Follow the link above to order. There are similar dolls to this one but “Little Gem Amethyst” is the only one available for free. This doll is regularly priced $44.50 and is on sale for $9.99 (78% off). Follow the link above and add it to your cart. Use promo code EMSBAMTH and apply it to your order. Continue to checkout and you will be prompted to create an account to order. Then you will continue on to billing. 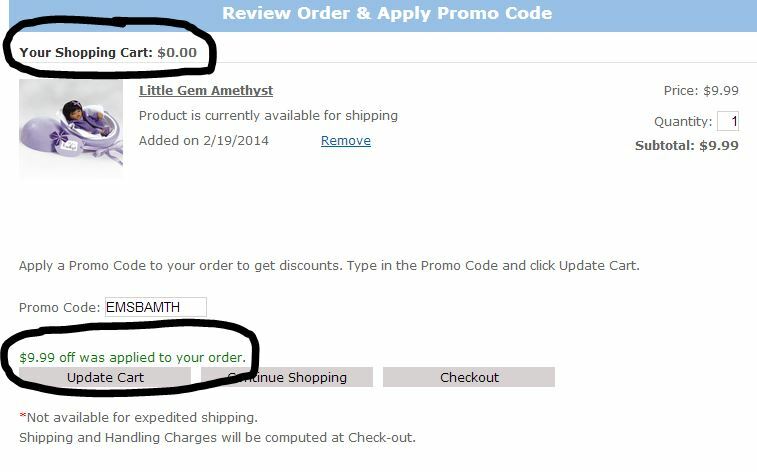 Your order total will be $0 because the code takes $9.99 off. You will only pay shipping of $7.96 for standard shipping. As I mentioned, there are other dolls similar to this one. There’s a blue one and a green one that I saw. When I was buying this one, I thought this doll would be perfect for my daughter’s Easter basket! The other two also have the sale price of $9.99 (both regularly priced $44.50) so you could actually get three for $20 with one of them being FREE (excluding shipping). You do not have to buy more than one to get the free one.